This highly durable Stagg NTC3 PCMR 2 x Mono Jack to 2 x RCA Phono Twin Lead gives you fantastic reliablity and quality at exceptional value for money. 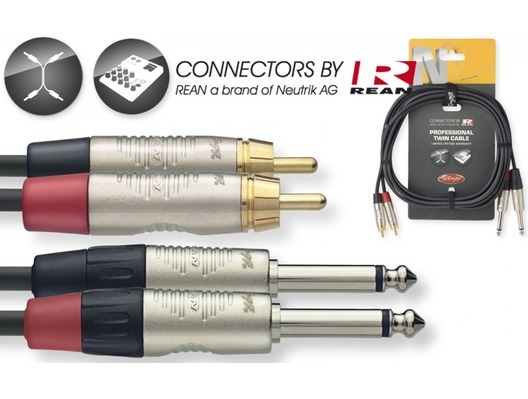 The connectors are by REAN, who are a brand of Neutrik AG. 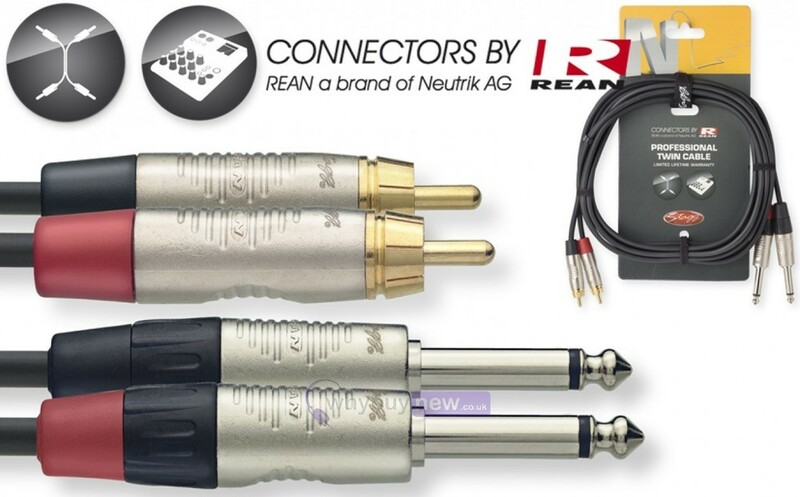 This cable is 3 Metres long making it perfect for either studio or live applications.